Relational Harm Reduction Radio: Pathological SUPER TRAITS, What are they and How do they Effect Our World? By popular demand, the show will focus on the subject of pathological Super Traits, taking phone calls live and questions in the chat room! Super traits are all those excessive traits that kept you hand cuffed in the pathological relationship. Learn why these are your future risk factors. So, you’re in this “too good to be true” relationship, full of electricity and chemistry between you, and slowly there’s a shift from the romantic, feely good, all warm and fuzzy attitudes to unexplained mood changes, the emotional electricity starts to dim, and suddenly the bloom is off the rose. Most are unsuspectingly caught up in pathological love relationships before they are aware of what’s happening to them. Over empathetic individuals will try to do all it takes to keep that aura of love flowing around the relationship until it’s too late and it’s recognized for what it is. Giving up all that they have, whether it be financially, emotionally, or just tolerating bad, and sometimes dangerous behavior, those who are hyper empathetic are often left holding the bag. 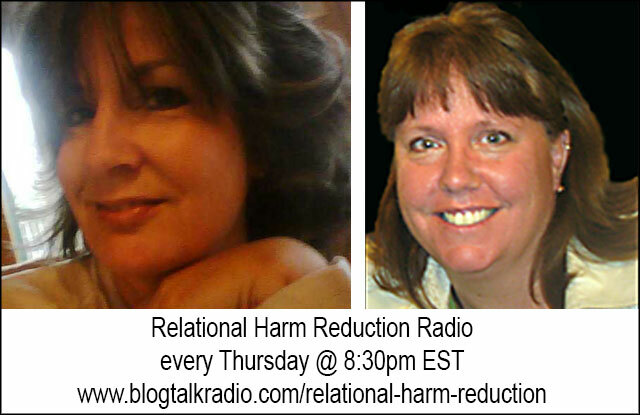 Relational Harm Reduction Radio has set out to educate and inform about all aspects of pathological love relationships. Only by educating the masses, and implementing change in the way we view pathologicals, will we ever be able to understand and deal with this segment of our society. There are too many people who are living in the aftermath of being bulldozed by a pathological love relationship, recovery is long-term commitment to discovering the truth about pathology and dealing with it with the help of professionals trained in the recovery model offered at The Institute for Relational Harm Reduction and Public Pathology Education. Head on over to the Institute’s website (http://saferelationshipsmagazine.com), sign up for the weekly newsletter, take advantage of product specials. Then, pay forward what you’ve learned to help get the next victim on the road to healing and sound recovery from a pathological love relationship. Pathological SUPER TRAITS, What are they and How do they Effect our World?